I love fur in the winter for a chic and luxe look. This silver slit scarf is soft and cozy. Plus, it goes with just about everything in my closet! Hunter boots are a staple for April showers, but what about January’s sub-zero temperatures? 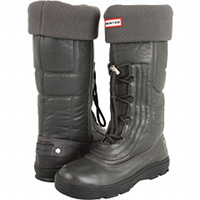 These snow boots are stylish and super warm! A leather glove is a sophisticated winter wardrobe must-have. I love the ruch and zipper detail on this pair from Coach. The eggplant color is a great way to spice up a black coat. For a cocktail party when you’re dressed up but don’t want to brave the cold with just a pashmina, try a short faux fur. You can also wear this one with jeans and booties (it’s priced right too)! 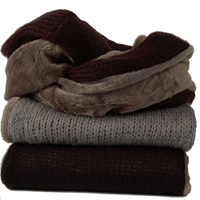 Infinity scarves are on trend and easy to wear. Hat attack is my go-to brand for summer hats, but they make amazing winterwear, too, like this reversible knit and faux fur infinity. Pair it with a black wool coat for instant style. 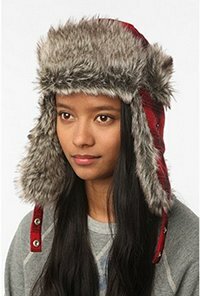 Trapper hats have made a comeback in recent years and I’m so glad they did! Fun AND functional- this keeps your hair protected from the elements and keeps your head warm too! There are certain things that instantly come to mind when one thinks of New York City: Rockefeller Center, Broadway shows, shopping on 5th Avenue, and of course—for anyone with even a glimmering interest in fashion—DKNY. There’s no other designer who understands the aesthetic of the New York woman like Donna Karan, and also no one who understands the intricacies of the world of fashion PR like DKNY’s PR team. Seriously, if you don’t follow @DKNY on Twitter you are missing out, not only on an inside look at the incredible world of Donna Karan, but also the most hilariously snarky Gossip Girl tweets and important lessons in PR101. So when PageDaily was invited to participate in the DKNY Cozy Style-Off, I jumped at the opportunity to have the geniuses at DKNY teach me the ways of the Cozy, and to meet the personalities behind this social media powerhouse! If you aren’t familiar with the DKNY Cozy then prepare to meet my new fashion obsession. The DKNY Cozy sweater is not only incredibly soft and, well, cozy, but also features extra fabric in the front so that in can be styled in an unbelievable number of ways. Wrapped, twisted, tied: no matter how you style it, the Cozy remains chic and versatile. DKNY advertises 12 ways in which the Cozy can be worn, but knew that fashionistas and Cozy fans could come up with more. Thus, DKNY invited PageDaily and others to participate in the Cozy Style-Off. I arrived at the DKNY store on Madison Avenue and was instantly greeted by the fabulous DKNY PR team and DKNY PR Girl herself, looking incredibly chic in the brand’s feather-trimmed mini, black cashmere tee, and layers of pearls. 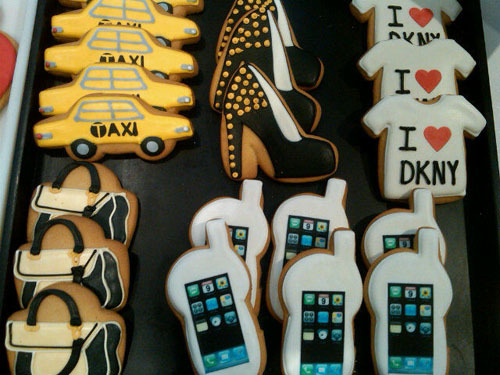 Guests were treated to a breakfast complete with fresh fruit, salmon carpaccio, and cookies shaped like taxis and smartphones. Then the styling began. With so much to choose from, and such a wide variety of Cozy styles and colors, it was easy to get overwhelmed. Luckily, we were also treated to the expertise of the DKNY team, and my new hero Ronnie picked out a gorgeous strapless dress with a black and gold floral brocade, black hosiery, the Aura suede wedge (which I purchased as an early Christmas gift to myself, of course), and a black Cozy with a little bit of gold sparkle. I must admit, I was feeling pretty fabulous!